2004 Winnebago Vectra 40AD, YOU WANT THIS 2004 Winnebago Vectra! Here's why! 2004 WINNEBAGO VECTRA, Model 40AD, Diesel with 46,400 miles. 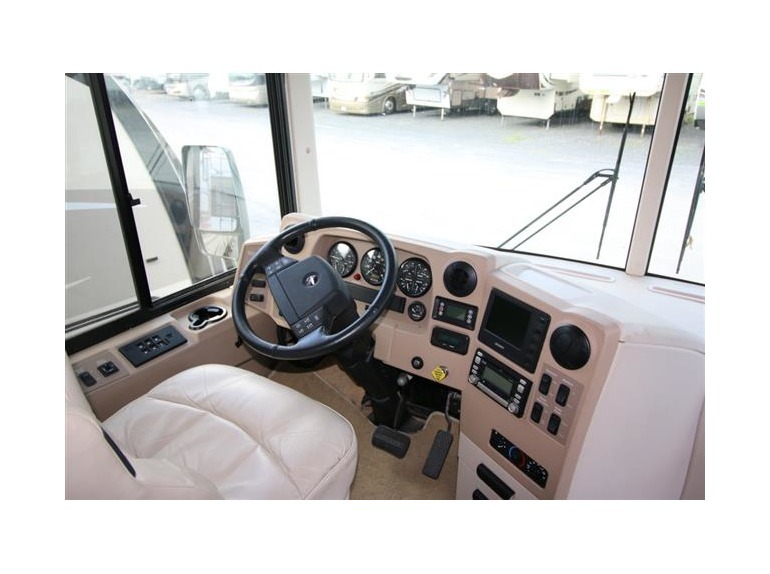 Impeccably maintained diesel pusher with 350hp Cummins Turbo Diesel, 6 speed Allison transmission, independent front suspension, Onan Quiet Diesel generator. Three large-slides (living room, kitchen, bedroom) mean spacious living in every room. Corian counters, slide-out pantry, gas range, GE microwave/convection, washer/dryer, central air/heat pump, gas heat, gas and electric hot water. 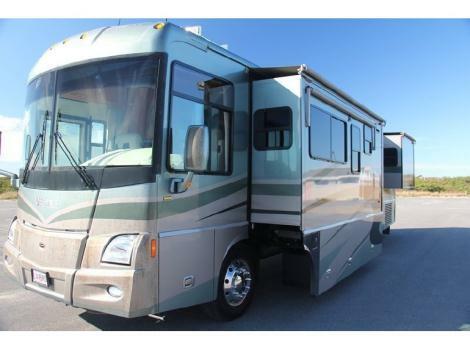 Two TV's, DVD, GPS, CB radio, outdoor entertainment center, exterior shade awnings on all windows, large power sunshade over exterior entertainment area (passenger side) and power door awning. Custom privacy sunscreens for front and side exterior windows, full size Tyvec coach cover, and wheel covers. Huge storage bays under RV with slide-out tray, extra built-in freezer/refrigerator under RV, /Demco hitch for tow vehicle, all (6) Michelin tires, 5 Interstate batteries with trickle charge. All exterior storage area locks and lighted. Power interior sunvisors over front window and electric cooling fans for driver and passenger. Coach has never been smoked in and no dogs/cats ever present. Full size lounge recliner plus power sofa that goes flat with the touch of the button for full size bed, and a pull-out full sofa length foot rest/ottoman for use when sitting on the sofa. Storage space everywhere in every room. Spotlessly clean. Walk-thru bath with sink and full shower, separate toilet room with more storage. Excellent lighting in every room. One side of the living room has very long counter with large drawers and cabinets under it for computer/printer/storage. Dining table pulls out to seat 5 (extra chairs stored). New good 60x80 queen mattress. Bedroom storage over the bed, large mirrored double closet, large 6 drawer dresser and locking floor safe. Stay overnight during travel with slides in and still have access to kitchen sink/stove/microwave/refrigerator, most kitchen storage. This coach has had all recommended service and needed repairs/replacements done at the Freightliner Service Centers, mainly at the Freightliner Factory Service Center in Gaffney, SC. ALL maintenance records are available so you can see for yourself how well this coach has been maintained. All service is up-to-date, including oil change and new air filter. NO maintenance has ever been delayed or not done. Coach service has been done at Winnebago Factory in Forest City, Iowa and at HWH in Iowa. This coach is ready to roll now for winter trips! Full tour available by Skype or in person. Dollar for dollar you get top value and more important features with a Winnebago coach. We have loved this coach and you will too!